Kaley Cuoco and Karl Cook are engaged -- see the heartwarming, tearful proposal video! Kaley Cuoco and Karl Cook are engaged! 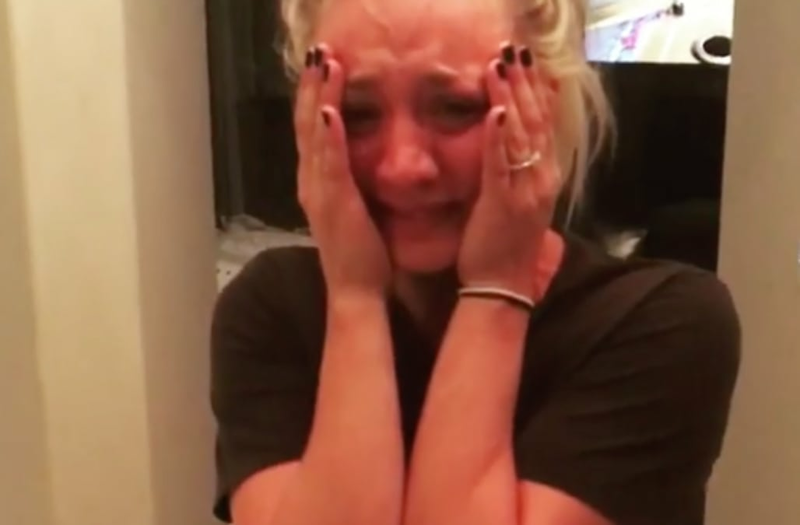 Cook took to Instagram on Thursday to share the news with a touching video of the Big Bang Theory star crying tears of joy moments after the proposal. "After nearly two years I finally got up the courage to ask her to marry me," Cook captioned the post. "This is the best night of my life and I think the video shows it is the best night for kaley as well." The sweet, funny video shows the actress -- who was also celebrating her 32nd birthday on Thursday -- weeping and laughing as she holds up the sizeable new sparkler. Who knew my prior post was oracular. Well after nearly two years I finally got up the courage to ask her to marry me. This is the best night of my life and I think the video shows it is the best night for kaley as well.....if she said yes!!!!! "We're engaged!" Cuoco excitedly announces through tears. "You still haven't said yes yet," Cook jokes from behind the camera. "Yes! I say yes! I say yes!" the newly-engaged actress yells as she laughs. Cook also shared a photo of the impressive engagement ring, which features a large, pear-shaped center stone with smaller diamonds lining the band. "I am so so so happy," he wrote in the caption. "Thank you @nadis_diamonds for making the greatest ring I could hope for. Absolutely brilliant. Thank you thank you." The ring Cook used to pop the question was nearly as large as the over-sized costume jewelry ring he jokingly presented to his lady love in an Instagram pic shared three hours before he proposed for real. "On my loves birthday I got her everything she has always wanted," Cook wrote alongside a photo of him and a hilariously annoyed-looking Cuoco in a Target. "Now judging by her face maybe not, it's the thought that counts right." Cuoco was previously married to former professional tennis player Ryan Sweeting from 2013-16. Earlier this month, ET caught up with the actress, who opened up about being head-over-heels in love with Cook. "He is totally the guy,” she said of the 26-year-old professional equestrian. "I think the common denominator is the horses, it just works for us. We have this special bond so, yeah, the animals. He's so real. I've never met a kinder human being, he's gentle, and he's real. I'm completely in love with him. Nothing could be better." WATCH: Kaley Cuoco Shares Sweet Snaps From Holiday Vacation With Boyfriend Karl Cook -- See the Pics!